Avengers: Infinity War is a fascinating, action filled, heart-wrenching film that both makes the audience cry and excites them enough to keep them engaged. For ten years, Marvel has succeeded in creating well received cinematic movies that people of all ages have enjoyed, culminating in the release of Infinity War. The film follows Thor, Captain America, Hulk, Iron Man and the many other superheroes as they come together to defeat the villainous Thanos, who wants to obtain the six infinity stones to create a reality tuned to his own liking. The fate of the entire universe is in the hands of the Avengers: the only ones powerful enough to stop Thanos. The movie is full of incredible performances and surprisingly balanced storytelling between each character displayed on the screen to keep audiences engaged–not to mention a resounding plot twist that left audiences speechless. The kingpin of the MCU, Infinity War had to deliver strong performances–and, in usual Marvel fashion, it exceeds expectations. Even the actors and actresses freshly added to the Avengers universe, including Chadwick Boseman, Danai Gurira, Pom Klementieff, Tom Holland, Benedict Cumberbatch and Josh Brolin, demonstrated talent on-par with their more veteran counterparts. Each smile they give, each tear they shed, and each scream they let loose seem genuine. Infinity War has 25 superheroes with screen time dedicated to them, which raises a question: how could they do a successful film without making it too congested with too much starpower? Infinity War deftly answers. The directors behind the scenes created a film that successfully gave each actor or actress a chance to have their character shine on the screen. May it be a action scenes where they’re shooting down enemies or saying a heartfelt monologues or cracking up a joke that eases the tension in scene, the small group pairings help organize and showcase the solid ensemble cast. The heroes from Thor’s franchise, Captain America’s franchise, Iron Man’s franchise, the Guardians of the Galaxy’s franchise and many others created a connection that only made the movie better. Even with the phenomenal acting skills and the strong collaboration between the characters, what made the movie different and more surprising than all the other Avengers films was the plot a twist. Loki and Heimdall died at the hands of Thanos, Gamora being sacrificed by Thanos to gain the power of the soul stone, and Vision dying by Thanos savagely tearing the mind stone out of his head. Even with all those surprises, the ending of the film was its most memorable moment. When Thanos finally collects all six stones, he set his plan into motion, destroying half the universe’s life forces across all realms. As seen in the film, Star Lord, Drax, Mantis, Grott, Bucky, Falcon, Wanda, Doctor Strange, Black Panther, and Spider Man all shrivel up into dust and cease to exist. The most heart wrenching moment was when Spider Man began to feel the effects and quickly grabbed on to Iron Man saying “Mr. Stark, I don’t want to go, I don’t want to go,” as he fades into dirt. The final scene created an emotional roller coaster that goes through sadness, anger, and curiosity. At the end of the movie it leaves the audience waiting for the next Avengers film to surface at theaters. 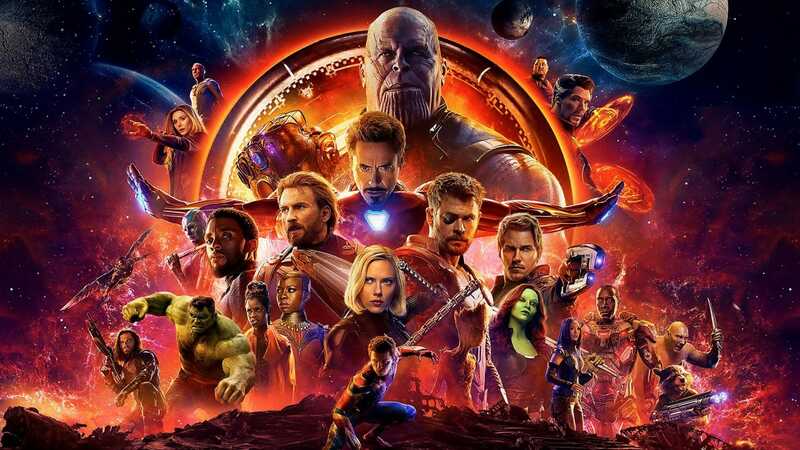 Avengers Infinity War with its amazing actors and actresses that gave a fantastic show, a great connection between all of the Marvel superheroes and a plot a twist that was a shocker for everyone was an incredible film that the audience adored the film. To see what happens nexts to our heroes we have to wait until May 03, 2019, when Avengers 4 will come out in theaters. Until then, we have to reminisce in the overall feeling and memories of the movie.